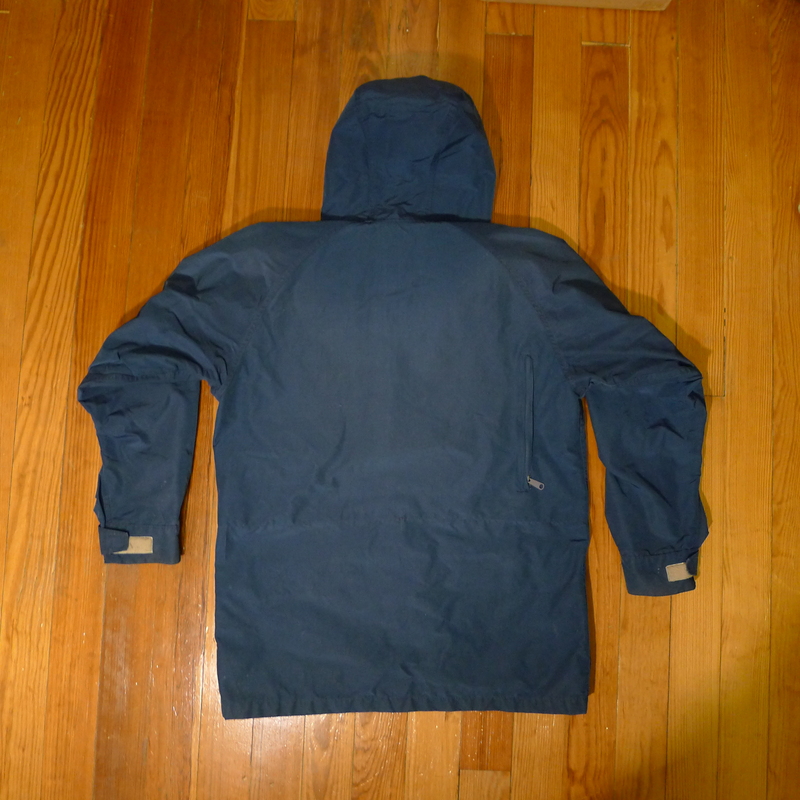 1950s Football Sideline Warm Up Jacket. 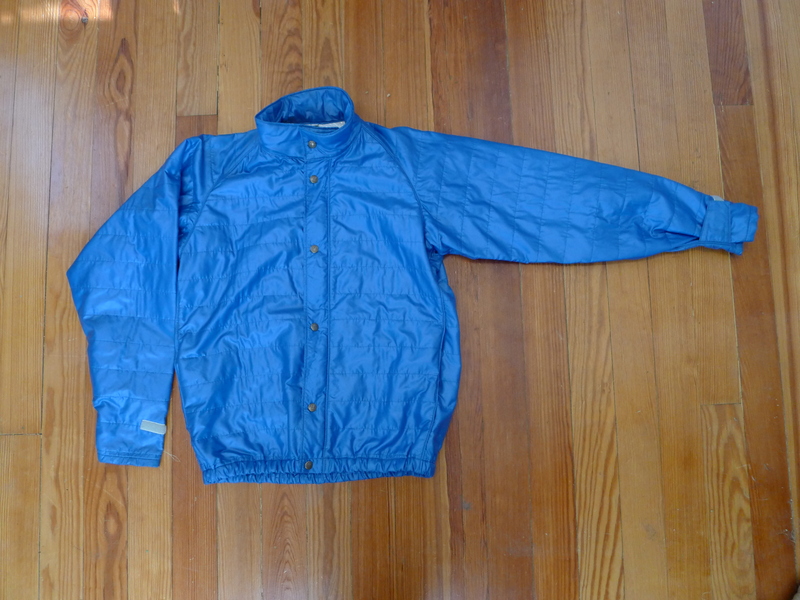 What I believe to be a 1950s football sideline warmup jacket. The jacket is made of a thick, blanket like denim with an oversized cut. 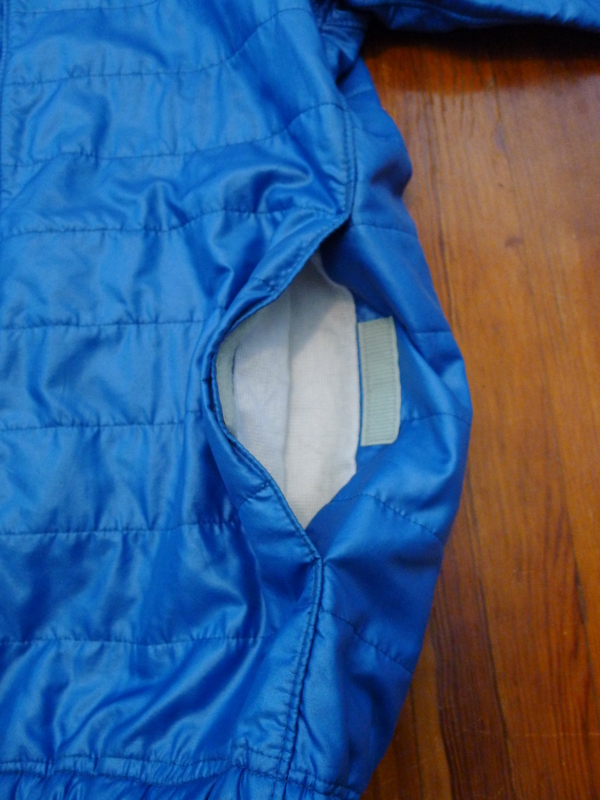 D shaped pockets on the exterior and interior. Metal clasp closure. Silk screened Mahomet Bulldogs 10 on the back. 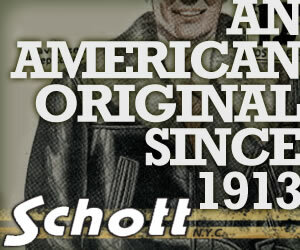 I’ve traced the logo back to an Ohio High School, but know little else about the jacket or manufacturer as there’s no label. I’d guess the piece or pieces like it were manufactured by Champion or Wilson. A part from them appearing in some old photos, there’s really not any information on these available. 1960s Levis leather rough out leather jacket. 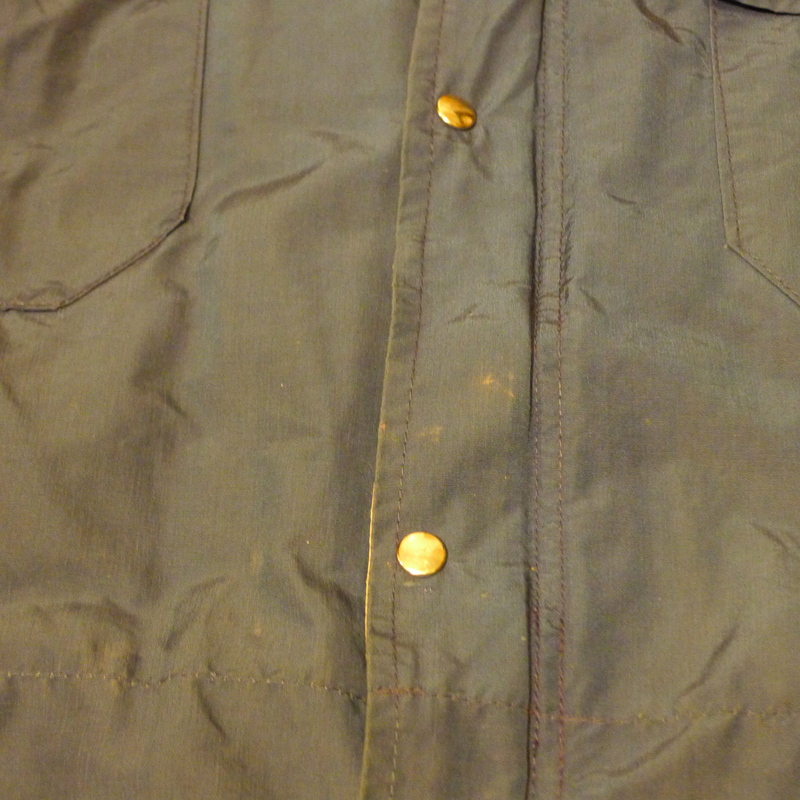 The Jacket is similar in cut and construction to the Type 3 denim jacket produced during the same period, but has some pattern differences namely in the sleeves. 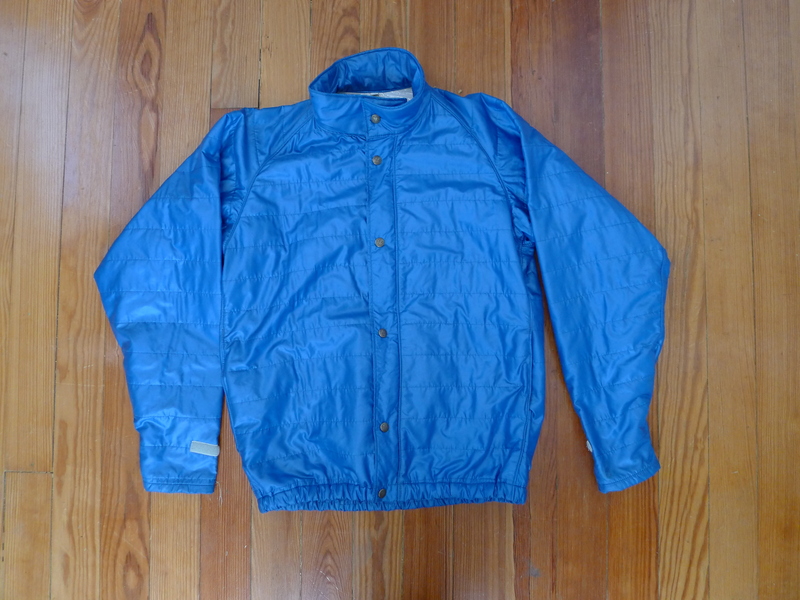 Type 3 denim jackets are constructed using basically two pieces (not including the cuff) while the sleeves on this jacket are made up of four pieces. 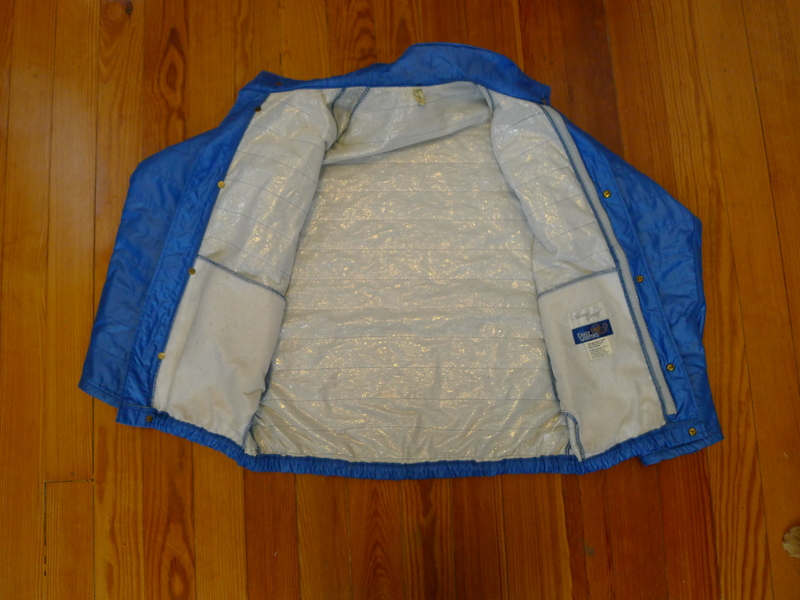 The torso of the jacket follows a much more similar pattern. 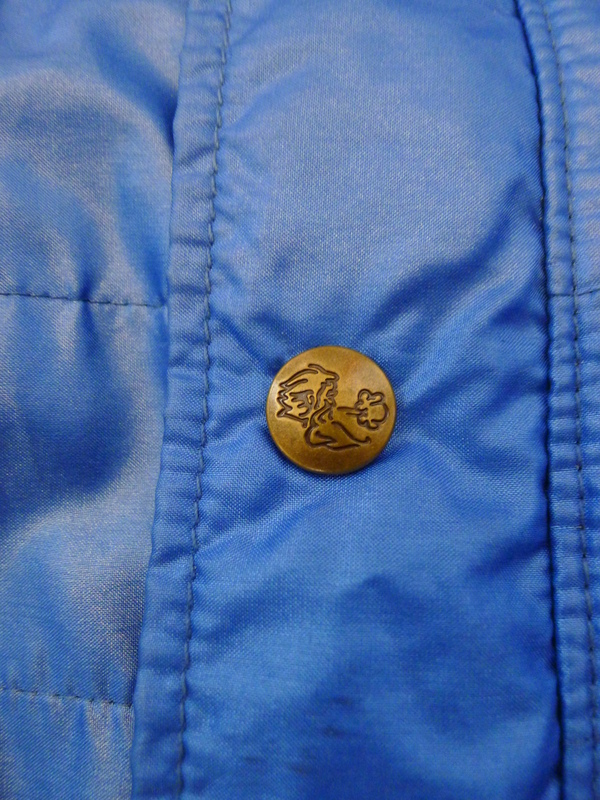 Another noticeable difference is the use of snaps instead of the metal stud buttons. 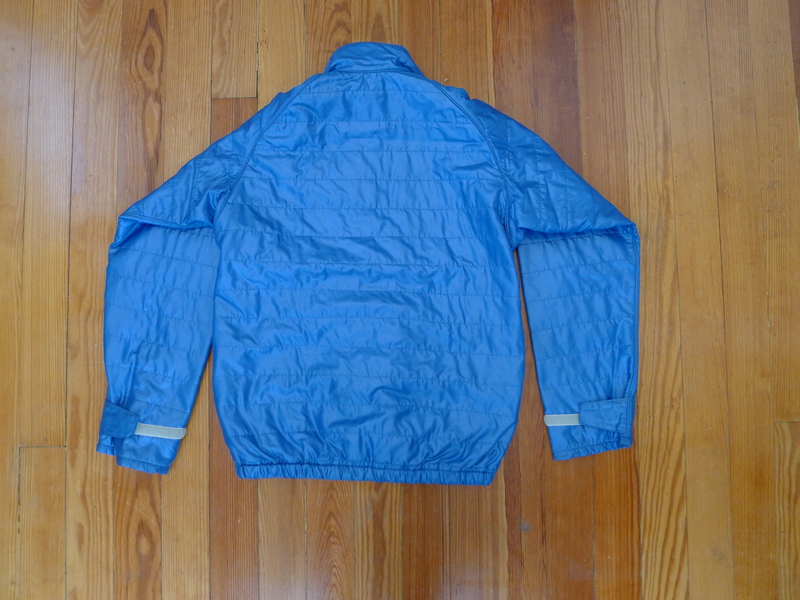 I’ve seen other listings claiming the jackets are suede, but I would classify it as rough out. 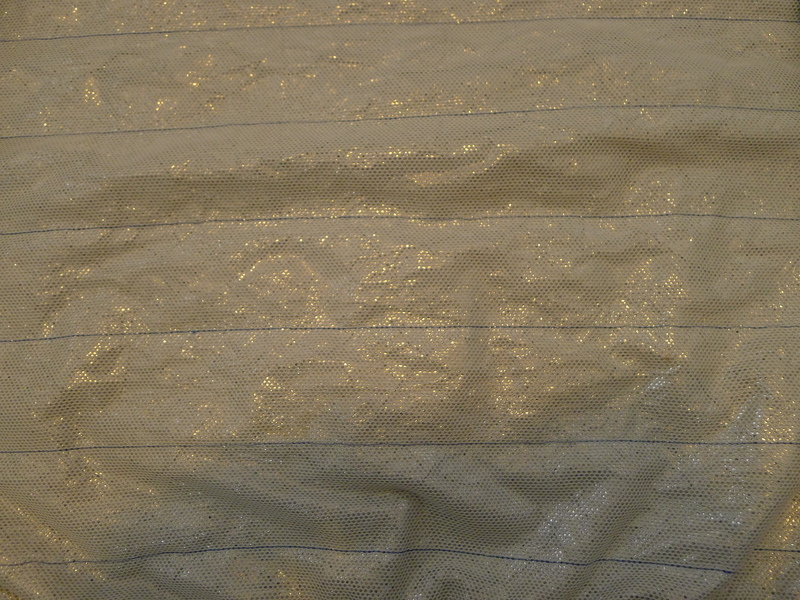 The texture (even when new I am guessing) is just not as fine as suede. I’ve also seen listings claiming buck skin, which I can see judging by the inside of the jacket, but it seems more likely they were made from cow hide. 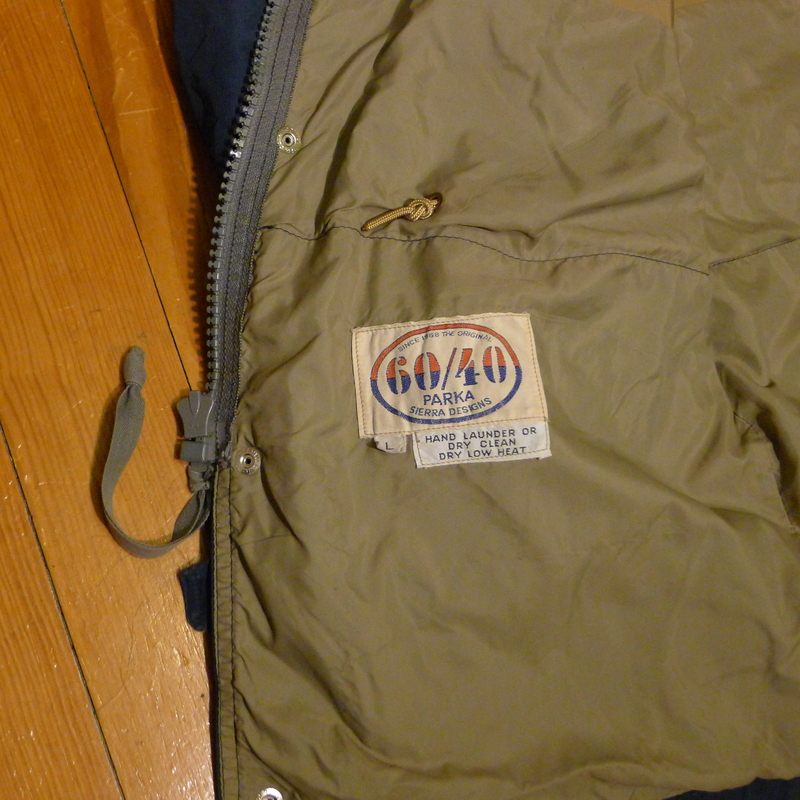 Similar jackets may contain Levi’s “short horn” Western Wear Label. 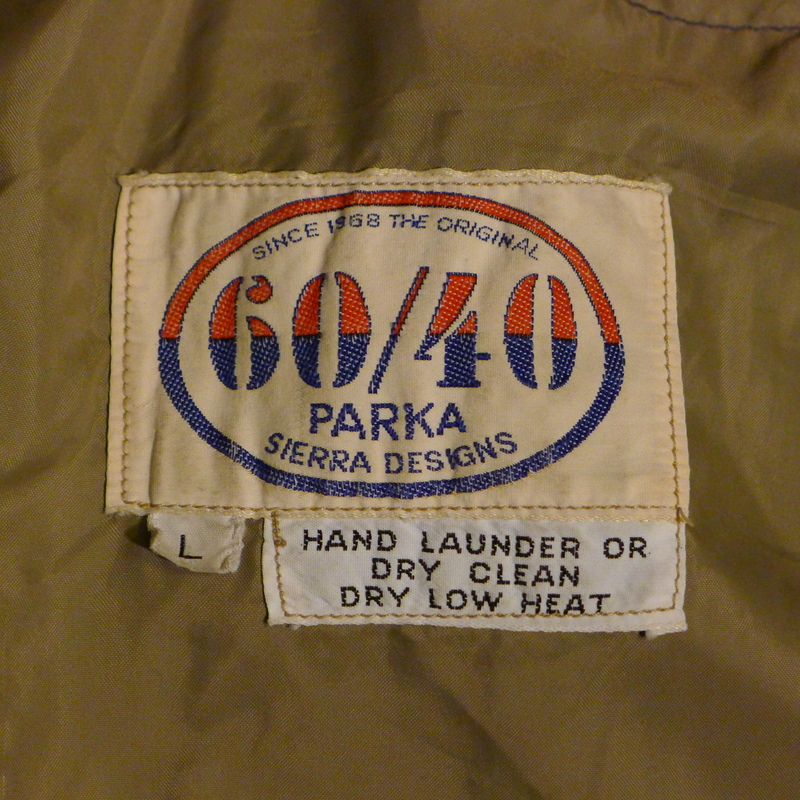 The original 60/40 mountain parka by Sierra Designs. Constructed of the fabric famed for its day as the superior protector against the elements. 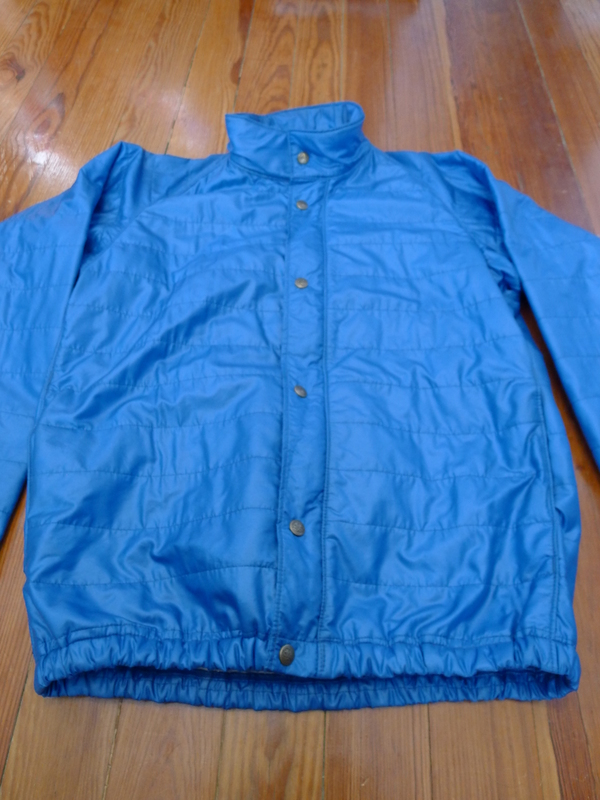 In a time before Gore-Tex and other such membrane backed fabrics, this blend of Nylon and Cotton loomed with a tight weave was the number one choice of outdoor enthusiast against rain, snow and wind. 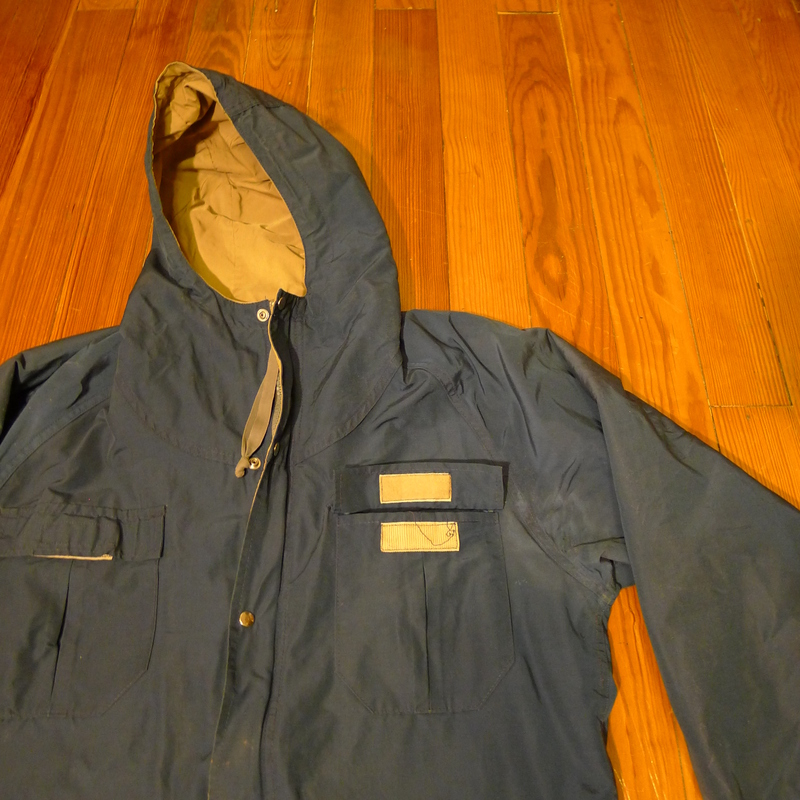 Prior to its introduction in 1968 most parkas of this style were made of a Polyester and Cotton blend which was much more permeable to the elements. 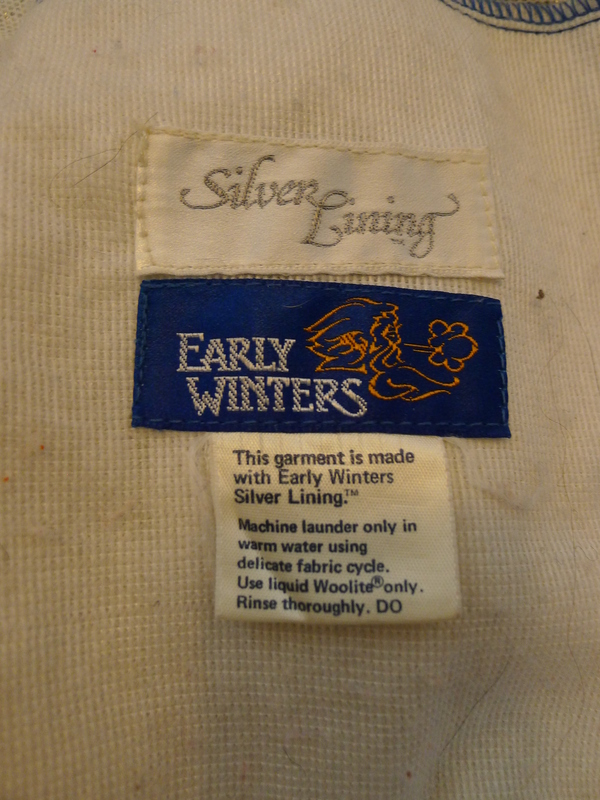 This particular example is an earlier version evident by the sparse labeling and lack of embossed buttons. 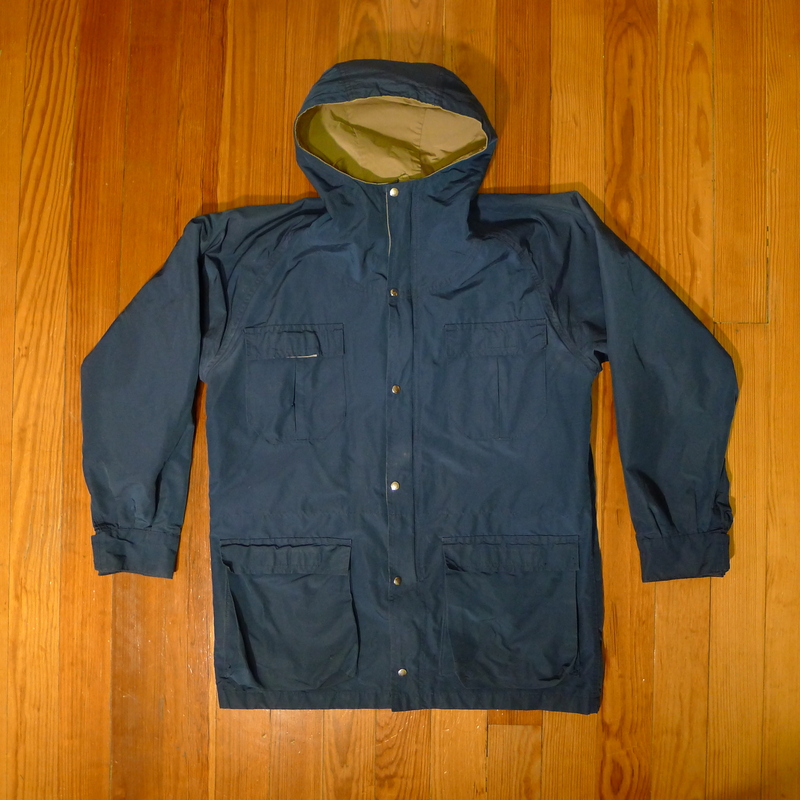 The parka is constructed of a Navy Blue shell made entirely of the 60/40 material. 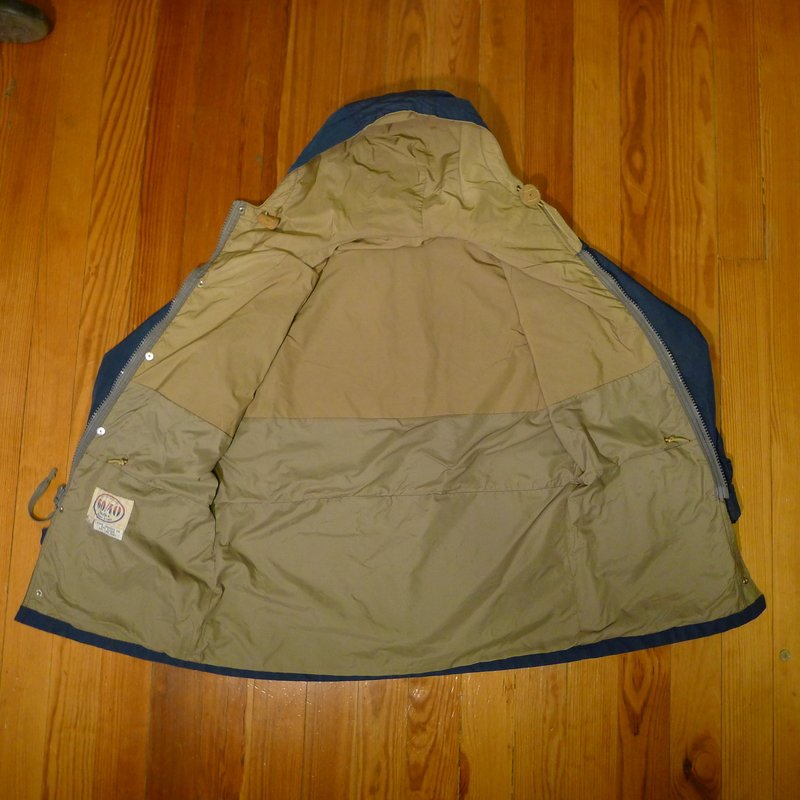 The classic construction includes two hip pockets with side entry and Velcro closed top entry. Two bellowed chest pockets also with Velcro closure. A single zip closed back pocket which opens up to the entire upper half of the jacket body. 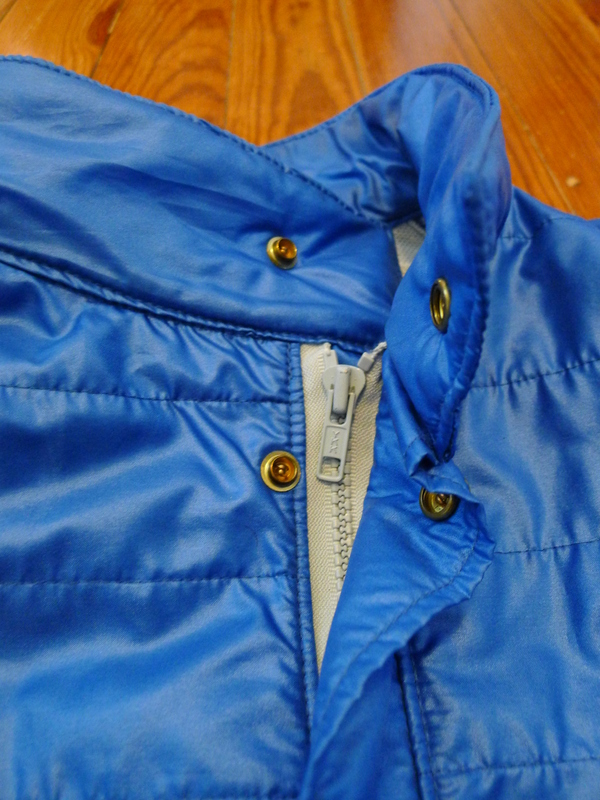 Closure consists of a large gauge YKK zipper with extended pull for ease of use while wearing gloves. Also a snap close-storm flap. Features an integrated hood with offset seams to prevent pooling around the neck and shoulders. Inside the khaki liner is made from 60/40 up top and through out the sleeves and hood to further guard against the elements where it matters most. 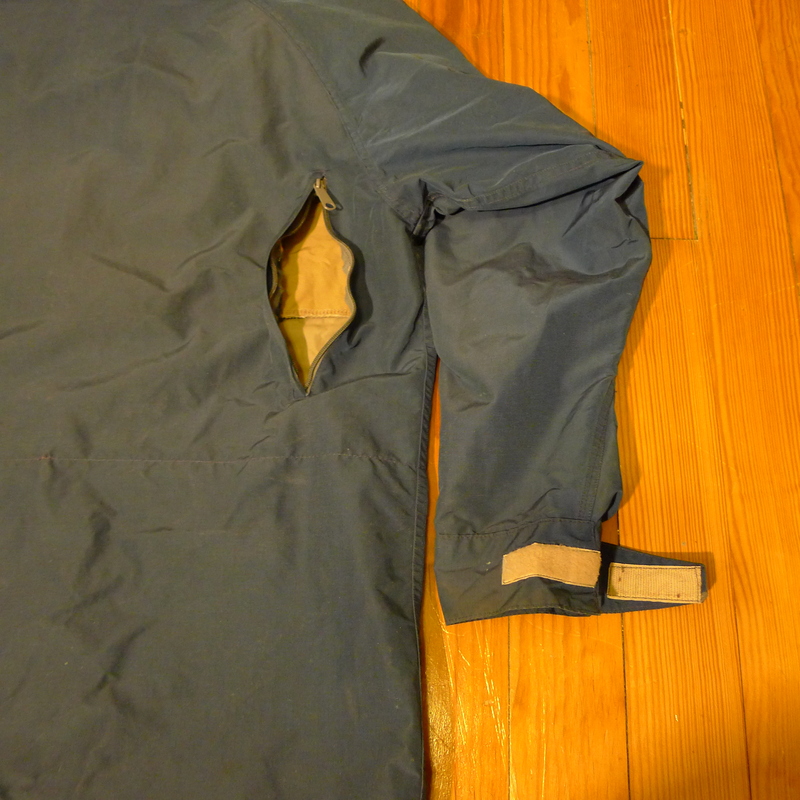 Then a lighter nylon lighter around the lower allowing the jacket to slide easily over the hips. Nylon cord cinch runs through the hood with leather lace locks. 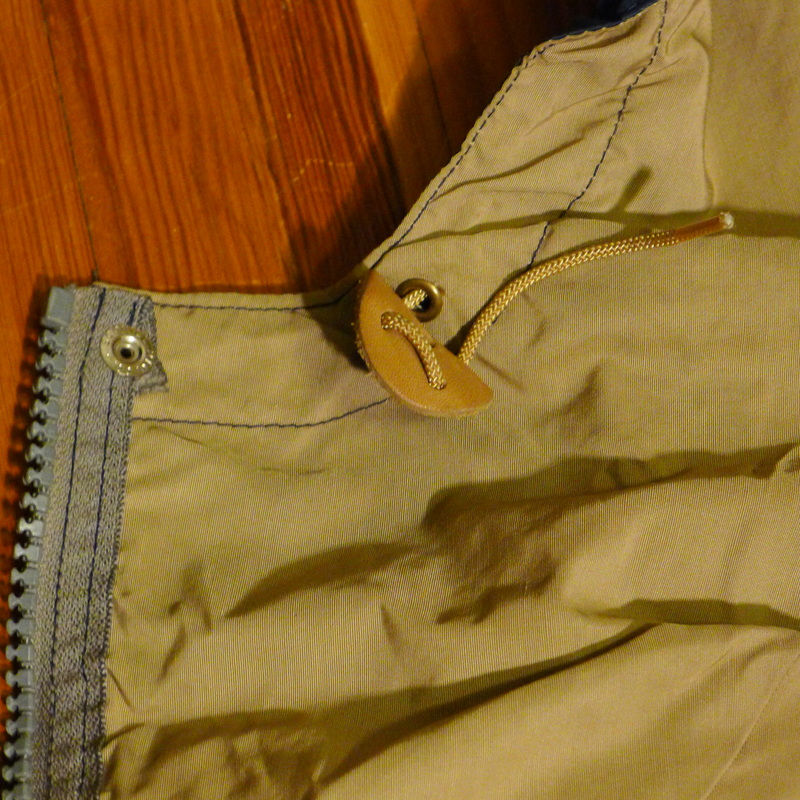 Also a Nylon draw cord at the waist which most likely also had the leather locks at some point, but are now missing.